Set in acres of beautifully maintained landscaped grounds, St Mellons Hotel & Panacea Thalgo Spa is situated in secluded gardens, midway between Cardiff and the historic docks of Newport. With seven acres of landscaped grounds, the Spa has easy access to the city centres as well as the local countryside & adjacent golf course. The impressive spa facilities include a 4 luxurious single Treatment Rooms & 1 double, Swimming Pool, Jacuzzi, Sauna and Steam Room, a Fully Equipped Gymnasium, Dance Studio & Squash Courts. The Panacea Spa focuses on Thalgo treatments and products. The spa offers massages, facials, manicures, and pedicures. There are four single treatment rooms & 1 double plus a relaxation room, as well as a sauna, steam room, and separate men's and women's locker rooms with showers. Other amenities include a swimming pool and Jacuzzi. Also there is an onsite chiropractor and sports massage practitioner. Fitness buffs can keep busy with an indoor swimming pool, squash courts, and a gym that offers resistance and cardiovascular equipment, free weights, classes, and personal training sessions. After working out or enjoying a spa treatment, guests can have a drink in one of the hotel bars or a nearby pub. Three function rooms are available for holding weddings or other functions, and wedding planners are available. Sports enthusiasts can visit the Millennium Stadium, site of the London 2012 Olympics, and take in a rugby game or other sporting event. At the area's waterfronts (Atlantic Wharf and Cardiff Bay), facilities include bowling, movies, and restaurants. Guests can also visit area attractions such as the Carleon Roman baths, The Llanerch Vineyard, and the St. Fagans Welsh Museum. 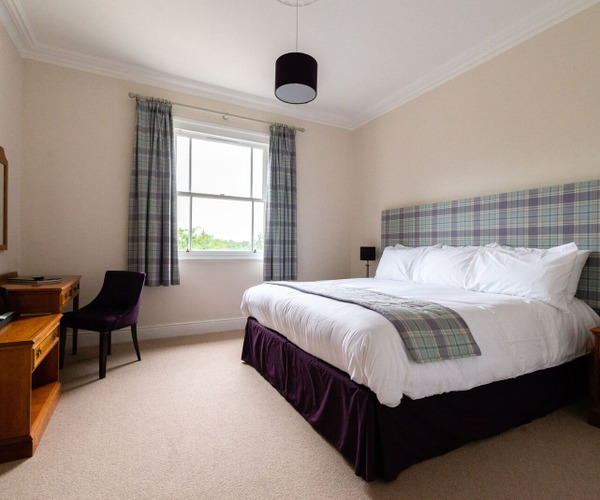 There are 20 nicely appointed bedrooms at St. Mellons Hotel including executive, superior and double rooms. The Sir Henry Webb Restaurant is the property's main dining venue. It serves a la carte food and offers English and Welsh cuisine, along with an array of international selections. The restaurant is available for intimate evenings or for larger group events of up to 30 people. Bar food is available at the hotel bar and Panacea spa & health club.